Pumper notes can be very valuable. They indicate when problems occurred and when adjustments were made. They may indicate local conditions, both downhole and at the wellhead. Keeping a log helps pumpers figure out if a problem is recurring, what settings were used in the past and so on. Historical review is easier. With measurements tracked digitally, it has become easier for pumpers to create trend lines and analyze pump and well performance. When notes are in the same record it is easy to check them right from the same interface. Analysis is faster and potentially more complete. Notes are more readable. Notes made on paper in handwriting may be difficult to read months later, especially if read by someone else. Mistakes are less likely to be made if they are based on an accurate reading. More people can review the notes. When notes are digital and part of the SCADA system, then anyone with authority can read them. This is very handy when others are using the data for evaluating reservoir performance, field economics or performing other tasks that depend on an accurate understanding of the data. Notes are more secure. 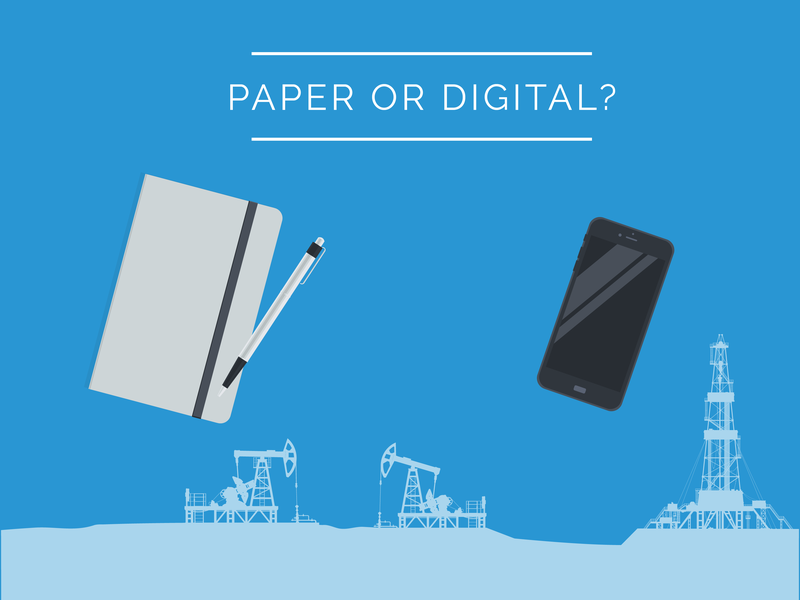 Because notes are stored in digital form, they are safe from many unfortunate issues. Coffee cannot be spilled on them. They cannot be left behind or lost to theft. Notes are secured from physical loss and from unauthorized use. Even if the entry device (e.g., tablet, PC) is lost or stolen the data itself is safe. Notes are available 24/7. Anyone authorized to view the notes can do so at any time from any place. Pumpers can look up notes on other wells that otherwise may not have been along for the ride that day. Office personnel in different time zones or even traveling across the globe can see well data—including notes—any time of the day or night. Notes survive personnel changes. Notes are easily handed off to new field personnel, making it easier to move resources around, fill gaps in coverage and replace retiring workers. Well data and notes are immediately accessible (and legible) to everyone responsible for the well. Tablets have made It totally feasible to switch to digital notes. Pumpers can now easily make digital notes at the well site as they observe operations. If your pumpers are (or should be) routinely making notes, you should seriously consider the benefits of moving to digital notes.